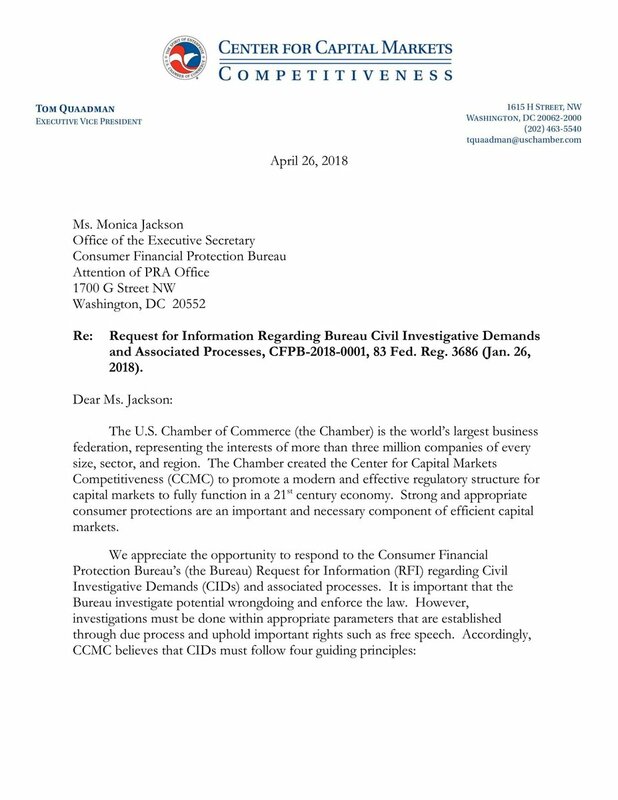 CCMC, along with several other trade associations, have been collecting data regarding the Fiduciary Rule’s impact on investors and the marketplace. This event will discuss the new research and data showing that the rule is not working as intended and having adverse effects on Americans’ ability to save for their future. Registration and a networking lunch start at noon followed by the program from 12:30 p.m. until 2:30 p.m. Click here to register. *This webcast is scheduled to run for two hours beginning at 12:30 p.m.